Okay, I think it's official. I am going through baker burn out. I know it's not very "daring" to admit it (I am a Daring Baker after all), but I'm really exhausted from all the baking that I did during the holidays. Although I love baking and it's definitely my favorite hobby, it almost felt like a chore during the holidays. Of course it was a totally self-imposed task. No one asked me to bake as much as I did. So after Christmas, I decided to take a little hiatus from baking which is why I haven't posted anything since the yule log. I was disappointed that I somehow turned baking into a chore so I needed to take some time to recover and rediscover the joy. 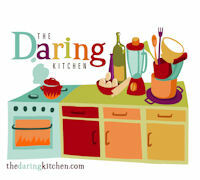 I hope to pace myself this year and avoid the "feast-or-famine" style of baking that I've been doing lately. Slow and steady is what I'd like to achieve so that I avoid future episodes of burn out. Although I'm still not 100% refreshed, I did do some baking. Most of what I normally feature here are simple baked goods. And these almond paste bars were definitely simple. Sometimes I call these bars "almond joy" but please don't confuse them with the candy bar of the same name. There is no chocolate and no coconut. Just the joyful goodness of almonds. These were a great way to ease back into my baking routine. Preheat oven to 350F. Butter a 9-inch square baking pan, line with parchment paper or foil, and butter the parchment/foil. Pulse almond paste, 1/4 cup sugar and salt in the bowl of a food processor until finely ground, about 1 minute. 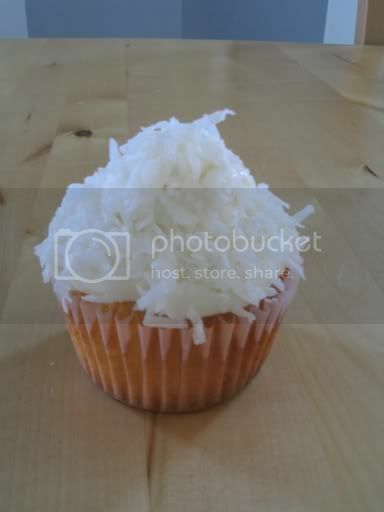 Using a stand mixer, beat butter and remaining 1/2 cup sugar on medium speed until light and fluffy, about 3 minutes. Beat in almond mixture, egg yolk and almond extract until well mixed. On low speed, mix in flour until just incorporated. Spread batter in prepared pan. Lightly beat the egg white and brush some of it over the batter (You might not use up all the egg white. You'll just need enough to help the almonds stick to the batter.). Sprinkle with sliced almonds. Bake at 350F for 35-40 minutes until top is golden. Cool completely before slicing. I can relate to "baking burnout". A couple of Christmases ago I baked too much and just didn't want to bake for a while. Thankfully this year I didn't feel that. Glad to see you've gotten back into baking though! The bars look great - moist and soft. I completely understand baking burnout. We love it so much but it is alot of work and alot of cleanup. What a great way to get back into it though. Oooh these look really good. I'd drizzle a bit of chocolate on top, I think! Yum! Mary, I'm suffering a bit of baking burnout too and I didn't do HALF the baking I normally do during the holidays. Of course, I write a blog about bread so I guess I have to keep baking huh??!! I love this recipe. I cut it out and when ever I get a craving for chewy almond goodness, I use this recipe. I need to work on the feast or famine thing too. I seem to go into baking frenzies and then fizzle out. I love that these bars focus exclusively on one (non-chocolate) ingredient. Some bar desserts seem too plain without a fistful of mix-ins, but this is a definite exception. I share in your burnout too. But the bars look great! These look delicious! This is my first time actually commenting on your blog, though I've been keeping up with it since I found you a month or so ago, and I'm so glad to see that you're starting to get over the baking burnout! I've been suffering from a bit of kitchen burnout lately also. I find that having to stop to take pictures of my food all the time can be very tiring, especially when I have to drag everything outside to get good light! I love the Almond Joy Bars. They look like the perfect thing to enjoy with a nice cup of coffee. Mary, I think you have echoed thoughts that some of us has been sharing as it relates to hobby and burn out. Thanks for sharing your wisdom of pacing yourself and avoiding the "feast or famine" style of baking. i think we're all feeling the burnout this month! i managed to do an entire dinner party without baking a single thing (pasta, soup, homemade ice cream, and peppermint bark -- never opened the oven once)! but finding recipes to get excited about is definitely the way to go. also, this is probably such a silly question, but what is the difference between almond paste and marzipan? Those almond bars look really delicious and I'll have to try them. I completely understand about the baking burnout. That's why I'm doing vegetables instead this month. Well with the exception of BBD #6, Cupcake Hero and the Daring Bakers Challenge. who doesn't suffer a little burnout now and then, in fact I think most people aren't burned out on just baking, but the holiday season in general? These bars look great, I'll definitely have to give them a try. Looks like we're all gone through these periods. I agree it's better to take care of yourself and take a break instead of turning your hobby into a chore. We'll still be here when you decide to get back into the kitchen - especially with almond bars like those! But isn't it always feast-or-famine with hobbies? Sometimes I'll abandon baking for weeks at a time (until I run out of frozen bread), or won't knit for weeks, and I haven't done any silver-smithing for months and months. But then something will catch, you'll remember that you enjoyed it, and the spark will come back. Enjoy the break, and don't force yourself. Katy: Baking911 .com says it better than I can. 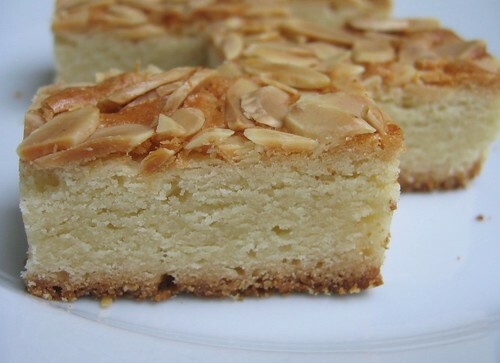 "Almond paste is made of ground almonds, sugar, glucose & some almond extract. Marzipan uses almond paste as its base with the addition of powdered sugar, egg white (or other binder) & additional liquid to make it pliable enough to shape." These look delicious. 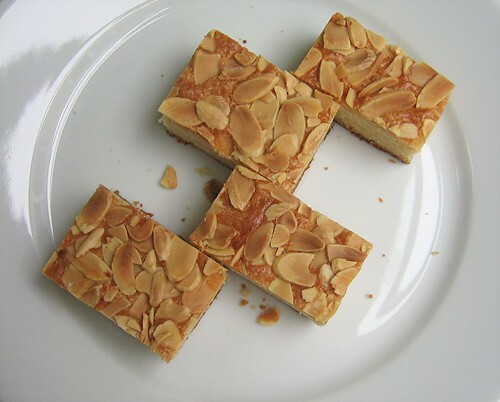 We have something called My Kipling Almond Slices in this country, made with all the usual flavourings & preservatives that go with non-homemade. Have to admit I'd still want to eat a whole box if they were there. I expect they're not a patch on your homemade ones. ...and thanks to Katy for asking the ? as I was going to ask about almond paste. Don't think you can buy it in England. At least I haven't seen it. Almond paste has shown up here in Scotland - you just have to go to the "whole foods" type market. I know what you mean about baking burnout - terrible when your favorite hobby starts turning into a chore. Glad you're picking yourself up and getting back in there, particular with something as wonderful as almond bars. I can relate to the burnout,the first week of January, the only things coming out of my kitchen were mousses and puddings! The bars look scrumptious and what a great way to get back into the swing of things! wow this alomnd cookies looks so delicious lovely! Maybe it has something to do with January - I have only wanted simple, quick and easy things lately. These bars sure do look delicious! i love the combination of apricot and almond, and even though it's a very thin layer, it comes out nice. Cynthia- Great idea about using the jam. I agree that apricots and almonds are wonderful together. Oh I love these almond bars and especially the name. I was expecting chocolate when I saw the title, but this pleased me even more! Many who made this recipe as listed on Epicurious felt the bars were too greasy, and better if the butter was cut back to 3/4 cup. Did you think they were too greasy (if you can recall back to 2008!). Thanks - am planning to make them this week.